We recently welcomed Ben Meakins in February to the Kleenheat family. As Channel Sales Executive, Ben has settled in seamlessly, working on our kiosks and building some great relationships in support of our various grassroot sponsorships and community programs. The new kiosks are now equipped with a kids corner, housing a flat screen TV and colouring station so parents with their families can take a few minutes to ask questions comfortably without worrying about their kids. 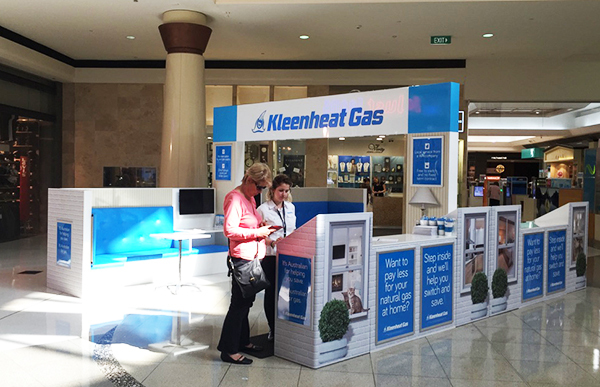 Our new kiosks are now at Garden City, Lakeside Joondalup and Rockingham Shopping Centre and by the end of April, we’ll also be at Westfield Innaloo, Belmont Forum, Ocean Keys and Bunbury Forum. Alternatively, visit our Kleenheat website. Can you explain your role within Kleenheat? 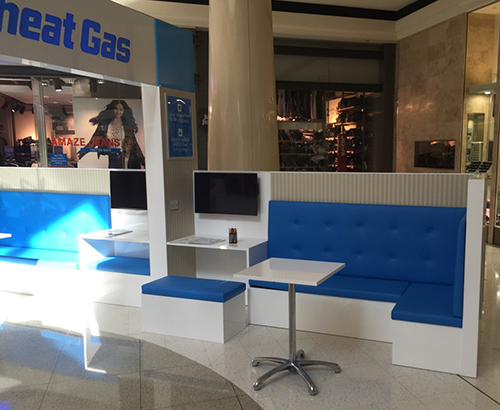 As Sales Channel Executive, I’m responsible for building and supporting a network of ways in which we can share our natural gas offer with customers. This includes helping put together our shopping centre kiosks, working with new home building industries, meeting with industry associations, working with plumbers, electrical retailers, sourcing sponsorships and developing partnership offers with other Wesfarmers companies. What’s involved in a typical workday? Everyday is really different. I’m usually on the road quite a bit visiting kiosks, managing up to 50 kiosk staff, recruiting and providing sales and orientation training, meeting representatives from industry associations for the plumbers and builders as I currently sit on the Master Builders Housing Council. Best part about working for Kleenheat? I really enjoy working with the people at Kleenheat. It is such an inviting, supportive work environment. Kleenheat really encourages development and training so that you’re working towards your own long-term goals. They really make you feel like they have your best interest at heart. Do you have any career advice for someone wanting to follow in a similar career path? My old man always told me that no matter what you do, you have to try your best and I truly believe that. I started my career in retail management and developed a love for working with people but as I moved through bigger companies and roles, I went down the path of sales and marketing. Which is why my role at Kleenheat is so perfect for me, because it marries my love of sales, marketing and management. Finally, what are some of your interests outside of Kleenheat? I love spending time with my family and am quite involved in my kids sports club. I coach my eldest son’s footy team and I’m also the Vice President of the club, Fremantle City Dockers Junior Football Club. My wife and I are also the Age Group Managers of my daughter’s surf club, the Nippers at the Fremantle Surf Lifesaving Club. 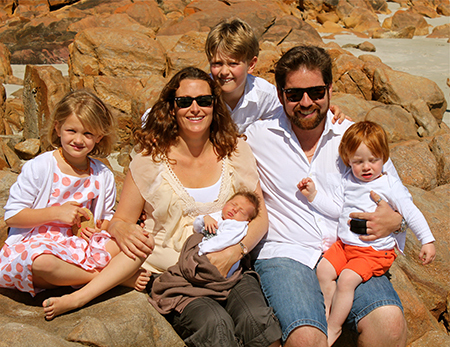 And of course I enjoy spending time with my wife, Bethan and our 1 and 2-year-old sons, who always keep us on our toes. 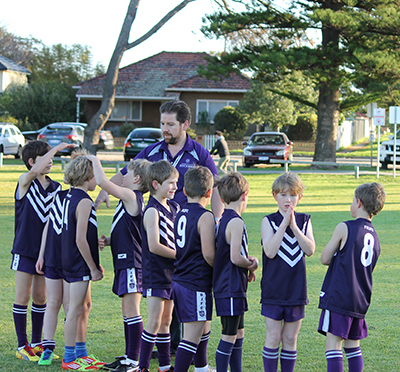 Ben coaches the kids at his son’s club, the Fremantle City Dockers Junior Football Club. Exciting developments for Kleenheat’s new and improved online cylinder ordering system!